This week I have been pondering the issue of skeletons in the family cupboard and our attitudes towards them. 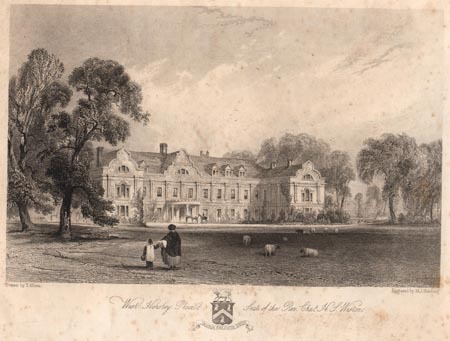 I had been exploring the history of West Horsley Place in Surrey, recently in the news when it was inherited by Bamber Gascoigne but which belonged to my maternal grandfather’s family for over a century and a half until it was sold to Lord Crewe in 1921. In the process I came across my mother’s great uncle and his wife Daisy Oliphant who lived at West Horsley at the beginning of the twentieth century. Curious about her, and thankful her name was relatively unusual, I tracked her back only to discover that her father, who was a journalist and foreign editor of the Morning Chronicle, appeared to have left his wife and first family to live with a young Scottish actress who in turn had left her husband. Now they would simply have divorced their first spouses and remarried, but divorce was expensive and socially frowned upon, and simply living as if married was cheaper and more convenient. The arrangement cannot have been too acrimonious since some of the first family turn up as witnesses to the weddings of the second. In the records of Wills, and sometimes on death records, you may find a clue to such an arrangement where the person in question is shown with two surnames, for example in this case ‘Catherine Bland or Oliphant’. Her maiden name of MacNab was discovered because when she moved south to live with William Oliphant her mother came too and was present in a census record! Sometimes the use of two surnames on a record may indicate that the person was illegitimate and the record is giving the surname both of the birth mother and the acknowledged father. But be careful about making such assumptions without further evidence. Particularly in more recent records the use of two surnames for a woman may simply indicate that a previous husband had died. I enjoy uncovering these little histories in my family, but I am conscious that not everyone is pleased to find out that an ancestor was illegitimate, or left his wife, went bankrupt or worse still engaged in criminal activity. Therefore when I am asked to help find out about someone else’s family history it does occasionally present an ethical dilemma. If someone contacts me because they are searching for a long lost living relative, and I happen to discover who that person is what should I do with that information? Does the other party want to discover they have an unknown sibling? In that particular case I was saved having to make the decision as the people in question found each other by another route. Most people now seem to be relatively comfortable with the notion that an ancestor was illegitimate, or fell upon hard times and entered the workhouse, or was unfortunate enough to become mentally ill and was consigned to an asylum. Distance lends a certain objectivity and we no longer regard birth out of wedlock or mental illness as the stigmas they once were. Even in the nineteenth century illegitimacy was sometimes glossed over. 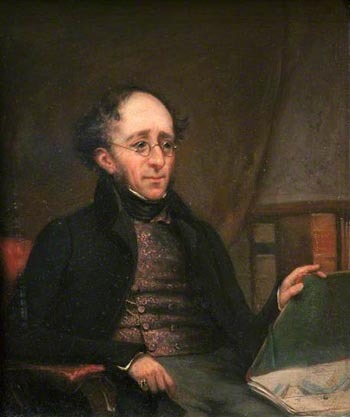 I recently had a conversation on the Facebook group Jamaica Colonial Heritage Society about the family of the distinguished geologist Sir Henry De La Beche whose father and uncle had changed the family name from Beach in 1790 in what may well have been a spurious attempt to claim Norman inheritance. 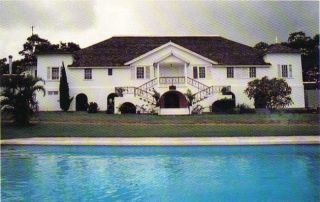 Thomas Beach from Wiltshire married Helen Hynes in Jamaica in 1755 and hence acquired the Halse Hall plantations via her mother Jennet Guthrie’s first marriage to Francis Sadler. Thomas and Helen had at least four children – Thomas, Jannet, John Hynes and Rose Sadler of whom only Thomas and John survived to change their surname. Unless Sir Henry’s father Thomas De La Beche was married twice (which is of course possible) it appears that Sir Henry was probably illegitimate and his parents married only about a year after his birth. Thomas De La Beche had a minor career in the army until he inherited the Jamaican plantations and he died in Jamaica in the summer of 1801. His widow then took five year-old Henry back to England, surviving shipwreck on the way. When Henry grew up he married Letitia Smith and they had one daughter, Elizabeth, named presumably after his mother. The marriage was not a success and while Henry was on a geological trip abroad his wife had an affair with Henry Wyndham, son of the Earl of Egremont, and they separated, the separation being made legal in 1828. It must have been evident to most people that Sir Henry’s daughter Rosalie who was born in 1834 was not his wife’s child. However when Rosalie died young, not long after her father, the press notice referred to her as his youngest daughter. She had lived in his household for a number of years and was on perfectly friendly terms with her married half-sister Elizabeth. Her probate record refers to her as Rosalie Torre Gay or De La Beche so it is reasonable to suppose that her mother’s surname was Gay, but I have not found a baptism record, and her birth occurred before civil registration. It is unlikely, I hope, that any modern descendant of the De La Beche family will be offended by these discoveries, however in the context of the joint histories of Jamaica and Great Britain a difficult issue can arise. Some people are absolutely delighted to discover they have mixed ancestry but I know of at least one case of someone who when presented with irrefutable evidence of black Jamaican inheritance absolutely denied its truth. It became clear to me as I gradually became acquainted with the history of 18th-century Jamaica and the way in which the mixed race descendants of the Plantocracy were often absorbed into mainstream British society, that sometimes these origins were consciously obscured and sometimes they were simply forgotten. For myself I think that family skeletons should be brought out of the closet and re-clothed in the stories of their lives. It is a way of honouring those who went before and reclaiming them from the dust of history. © 2011 - 2018 Anne M Powers.